When Jim Stuart talks, the audience in the room resembles the old E.F. Hutton television ad: There’s silence waiting for his insights and wisdom about the commercial real estate market. 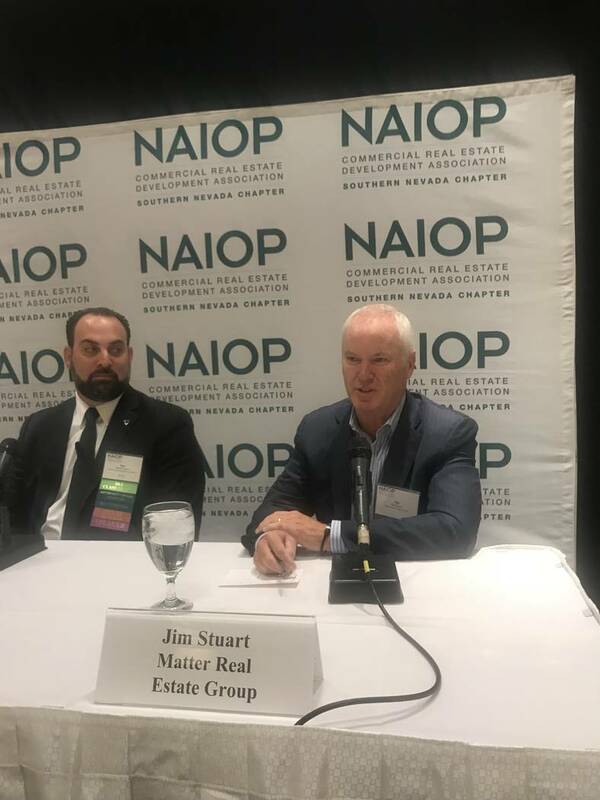 Commercial brokers and others in the development industry seemed to hold onto his every word when he appeared Sept. 20 at The Orleans during a panel discussion on commercial real estate hosted by NAIOP Southern Nevada. In 2007, Stuart and his development and real estate company, Centra Properties, announced they were liquidating their real estate holdings, including its 26-acre, 400,000-square-foot Centra Point office complex along the Las Vegas Beltway in the southwest valley for $97 million. Prior to that, Centra garnered attention by selling 25 acres north of Harmon Avenue between Paradise Road and Koval Lane for more than $200 million. The 51-year-old Stuart packed up and moved to San Diego at a time the commercial market was still booming and a move today many think was insightful and foretelling of what was to come with the real estate bust and Great Recession. 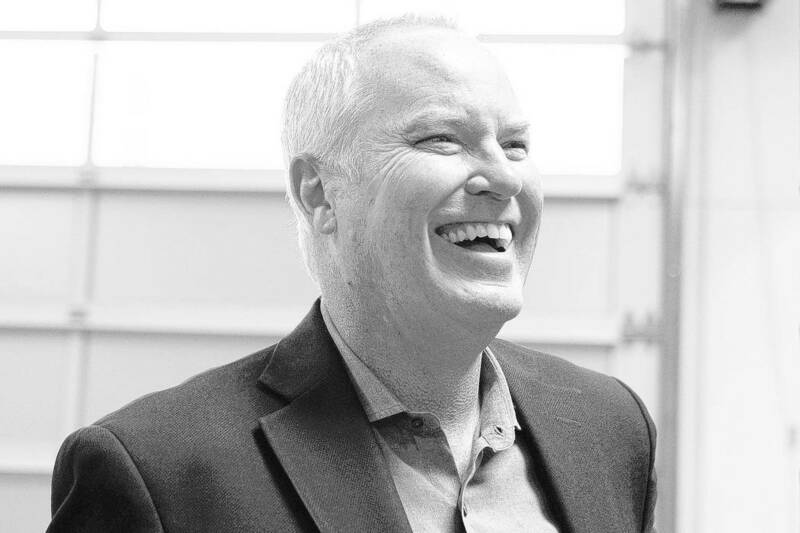 More than a decade since he departed, Stuart has returned to Las Vegas as part of a new company, Matter Real Estate Group, that he formed again with partners Matt Root and Kevin Burke. The company has about 1.5 million square feet of projects, including space next to the planned Raiders’ practice facility in Henderson. Stuart has legendary status in Las Vegas development history and his reputation has gotten a further boost by Goldman Sachs honoring him as one of America’s most intriguing entrepreneurs from 2014 to 2016. Stuart said he doesn’t want to hear any suggestions that he’s a genius. Stuart quickly corrected Doherty that it was more of a “sense” than any analysis and not some “magical numbers.” He reiterated that he was no longer smart enough to underwrite development at the speed the market was changing. That ended, Stuart said, with the urging from his wife, who he said told him she married him for life, but not for lunch. It was time to get out and work again. The last decade, Stuart said, has given him a chance to do a reset and now has a greater sensitivity and more maturity. What he once thought was important isn’t, he said. Stuart said Matter is focused on the Southwest U.S. with mixed-use in Los Angeles and office in Texas. They’re working on “trying to get a foothold with some projects in Phoenix” as well, he said. Stuart said he had nothing to talk about publicly on that front but there’s only one place to put a Class A mixed-use project — the 215 Beltway in the southwest valley. Stuart said he doesn’t understand why Las Vegas hasn’t been more progressive in building highly amenitized Class A office space. In every market he goes to, that’s the “default answer for any occupier of space,” he said. Stuart said people don’t buy their cars by the pound but by how it performs and the same concept should apply to office buildings. Measuring office by price per square foot “is the most absurd thing,” he said. Stuart said he wouldn’t want the Hughes Center business park east of the Strip that has long been the premier site in town. Those who weren’t there 15 to 20 years didn’t count, he said. Stuart said Las Vegas is still a great marketplace and sees, when meeting people, that there’s “still a lot of scar tissue of what this market went through. He said that he “has a gift” of not having to experience that up close and personal, although he has friends that did. That doesn’t mean there wasn’t pain. Centra was partners in the development of Town Square, the retail and office complex that they were unable to sell before it was foreclosed upon during the recession. Doherty said the scar tissue that people still have in Las Vegas is a great point, and many spend so much time focusing on the downside and overlook the upside. One audience member, however, said one of the prevalent conservations in the marketplace is when is the next recession going to occur. They asked Stuart for his opinion and advice. Stuart said Las Vegas was late to the recovery so the warning lights will flash in other marketplace before they start flashing here. Matter recently competed and sold a 156,000- square-foot Class A industrial building in North Las Vegas for $16 million to a stage lighting company. Stuart said Matter did that because it got its return it wanted and suggested that its the start of a trend of users in Las Vegas and other markets buying assets instead of investors because prices have exceeded points investors are willing to pay for real estate in Las Vegas, particularly in the industrial sector.